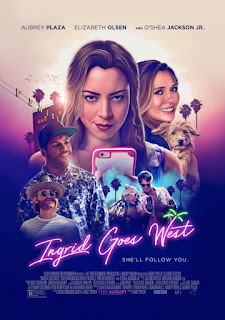 Acridly funny, brazenly entertaining and up-to-the-minute, “Ingrid Goes West” is at once a sympathetic character study of a mentally unhinged young woman caught in the age of “likes” and “hashtags,” a dark cringe comedy that remains grounded, and a pointed here-and-now social comment on how anyone on social media can create their own persona for the world to see. That’s a lot of ambition for a filmmaker’s feature debut, but writer-director Matt Spicer and co-writer David Branson Smith nail the tricky tone with almost startling nerve and insight. 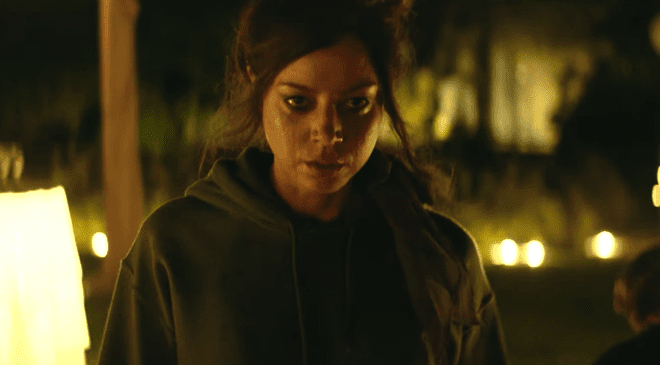 Oh, and the fearlessly hilarious and quick-witted Aubrey Plaza, as the titular Ingrid, proves that she’s been capable of so much more than being the definition of “awkward” in a daring performance of raw, crazed perfection and undeniable empathy. Ingrid Thorburn (Aubrey Plaza) is in a fragile state. She has just lost her best friend—her mother—and uses her iPhone like an extra appendage, rarely looking up from the screen. Following her stint in a mental institution, Ingrid seems to have grown and gets to start her life over. 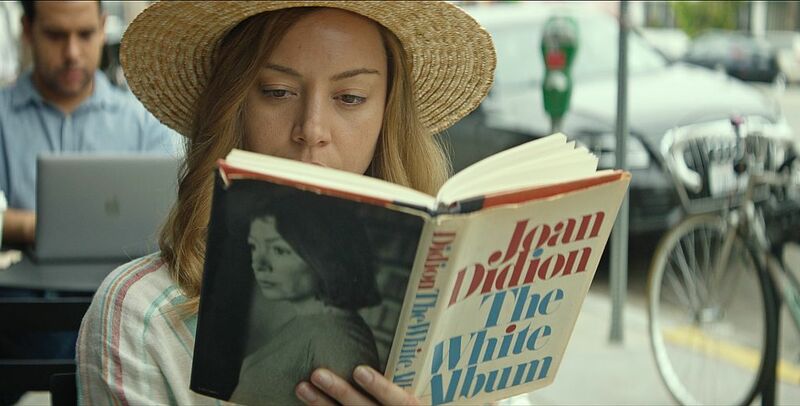 As soon as Ingrid finds a magazine article about Venice Beach’s boho-chic, Instagram-famous photographer Taylor Sloane (Elizabeth Olsen), she looks up her profile to find that she’s #blessed with 267K followers and openly posts an entire narrative, complete with hashtags, from the avocado toast she eats, to her vacation in Joshua Tree, to the Joan Didion book she allegedly reads, to the hair salon she frequents. When Ingrid comments on one of her pictures, Taylor responds back. A lightbulb then goes off in Ingrid’s head: she takes her inheritance to go find Taylor and contrive a meeting and, hopefully, friendship. How long can Ingrid keep up the charade? From the first time we see Ingrid, her mascara running from her intense, tear-filled eyes as she scrolls down the Instagram photos of latest stalkee Charlotte (Meredith Kathleen Hagner) and then crashes her wedding, pepper spray in hand, to get vengeance for not being invited, the viewer will initially find it impossible to connect to someone who comes across as a disturbed nutjob. Instead, “Ingrid Goes West” keeps finding ways to challenge and surprise with equal amounts of satirical exaggeration and dramatic subtlety. Subverting what audience members will expect from the actress who could perfectly play Daria Morgendorffer in a feature film one day, Aubrey Plaza stretches her deadpan persona as Ingrid Thorburn by going to dark, weird, desperate and heartbreakingly lonely places that never seem less than organic. She is still comically anarchic, but there is something unnerving, pathetic, sad and relatable to what Aubrey brings to a character who could have come off insufferably needy, thoroughly unlikable and just batshit-crazy. Even though Ingrid is delusional and needs more psychiatric help than she is given, one is able to feel for her and understand where she’s coming from. She just wants to be liked and accepted by any means necessary. Elizabeth Olsen is spot-on, playing Taylor Sloane not as a walking punchline of a phony, vapid SoCal stereotype who calls everything "amazing" and "the best" but a human being who actually exists. It’s a testament not only to Matt Spicer and David Branson Smith’s script but the way in which Olsen makes the complexities of Taylor seem true. By Ingrid’s perception, Taylor is perfect; she’s bubbly, seemingly cultured, and has a fulfilling life made from bottomless funds. In a way, though, Taylor is just like Ingrid, even without any mental illness. As Taylor’s technophobic husband Ezra, who quit his job to become a pop-artist urged by his wife, Wyatt Russell is affable, but even his character is smartly written with unexpected layers. On the other side of the spectrum, Billy Magnussen is malevolent bravado and coked-out volatility incarnate as Taylor’s live-wire brother Nicky, who quickly sees through Ingrid and her motivations. And then, in the most innately likable role and only his second feature after portraying father Ice Cube in 2015’s NWA biopic “Straight Outta Compton,” O’Shea Jackson Jr. has endless swagger and charisma as Dan Pinto, Ingrid’s Batman-obsessed landlord who aspires to be a screenwriter and develops a trust in his tenant. More than a “Black Mirror” episode, “Ingrid Goes West” feels like the female-centric cousin to 2000’s exceptionally cringe-worthy “Chuck and Buck” and even 1992’s “Single White Female” (which gets name-dropped), minus the use of a stiletto as a murder weapon and the lesbian subtext. The film is definitely a comedy, but it never compromises its bleak worldview, nor does it strain for wacky laughs. From the sublime to the ridiculous, the situations still remain candid and germane to how the characters would behave. With the warts-and-all depth of its characters and how they communicate, the film carves out its own path, taking the relevance of the social media craze and the transparent times we live in to an extreme. Ingrid is worth following through every bump in the road, and the filmmakers ensure a pitch-perfect ending, or beginning at the end, for her.